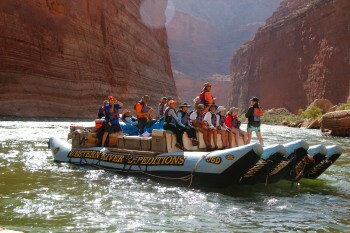 What an amazing journey we had on the Colorado River with Western River Expeditions. Far beyond my expectations - we traveled through canyons and rapids that took my breath away. I tried to capture the beauty as best I could so that I could share the vastness, the powerfulness, and the beauty of the Grand Canyon with those not lucky enough to experience it themselves. But, alas, there is no way to fully capture the experience without being fully immersed and engaged in the Grand Canyon for a week. Thank you to Tiffany, Ben, Mark and Greg (Newtie) for making our trip such a joyful, memorable and exciting time. The food was unbelievable - how they provide such delicious meals is a feat in itself. 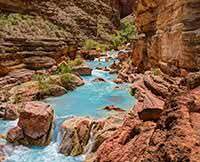 The campsites were perfect each evening - giving us views of the ever changing river, canyon walls and night skies. And what amazing skies! The stars were so thick you felt you could scoop them out with your hands and scatter them on the sand. The knowledge shared by the guides as we drifted past millions of years of geology brought one into the presence of the Creator's vast and endless plan. Loved all the stories and tidbits that were shared along the way about the early explorers who ventured into this intimidating environment only to fall in love with it. Life-long friends were made along the way with the other passengers and the guides. How can you not, when you share this experience together?